Prostate Controls claims to be a “synergistic blend of herbs, antioxidants, vitamins and minerals”. It contains all of the popular prostate supplement ingredients, nothing out of the ordinary. This is a very inexpensive product so I knew that the lab reports wouldn't blow me away. Their lab result showed each serving contains 64mg of Total Sterols. 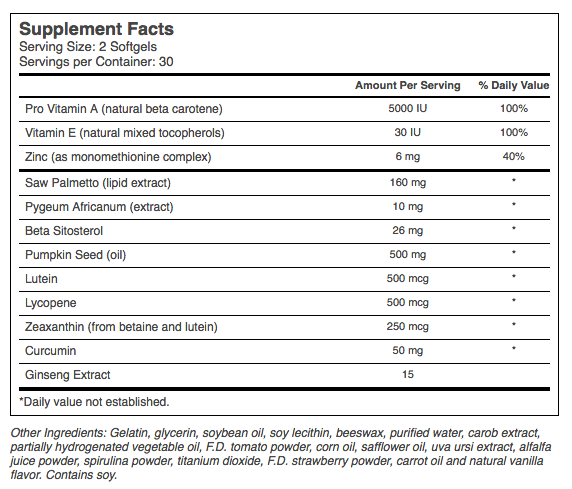 This is a decent formula but not even close to our top rated supplements.